Sometimes you just need a break. A break from the standard pop and rock that permeates the music scene these days. If you’re in need of such a break, the debut album from Brooklyn’s The Loom, is a wonderful place to start. The Loom is a five-piece act that incorporates banjo, ukelele, horns, and keyboards to create a full chamber-folk sound. The sound is similar to acts like Beruit, the Decemberists, or Calexico. Their debut album, Teeth, conjures visions of American traditions. But not in a stale sort of way. The album calls on traditional sound, but recreates it with a modern twist, with hard-hitting guitars and driving percussion. The first track, “With Legs,” starts out pastoral, with a twangy banjo. But sure enough, the modern guitar riffs creep in to bring the melody to a swell. It soon develops into a hand-clapping bar anthem. But don’t get too comfortable with the intensity of the first track. The Loom is also adept in crafting melancholy ballads like “The First Freeze,” which starts off with minor guitar chords and horns. In this track, the band utilizes both female and male vocals to really drive home the emotion. 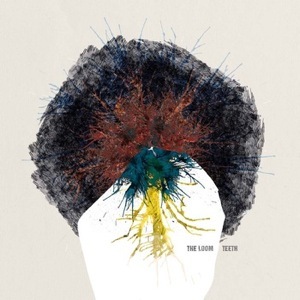 If you’re looking for a new sound, something to really change up your heavy rotation, check out The Loom‘s debut album, Teeth. It’s sure to bring a fresh melody to your ears. And it’s near perfect for that fall, Thanksgiving, wistful, traditional-but-modern sentiment.